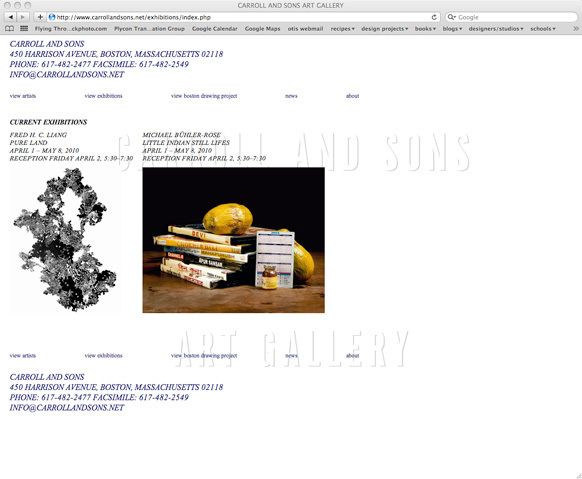 Website design for Carroll and Sons Art Gallery in Boston, Massachusetts. 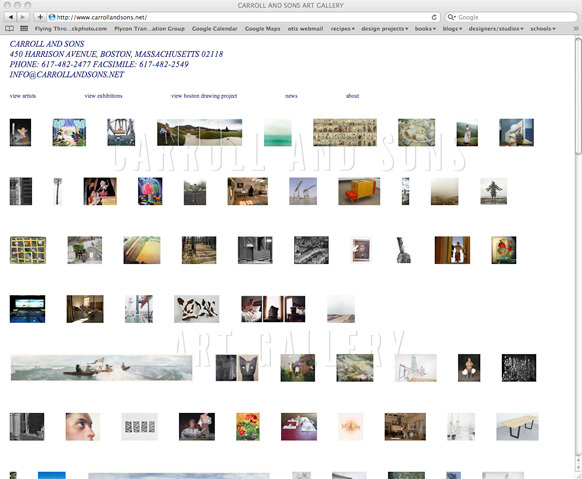 We wanted this website to brand the gallery with it's entire inventory. We were interested in designing a gallery site that emphasized the collective as opposed to the individual without compromising individual artists and their work. 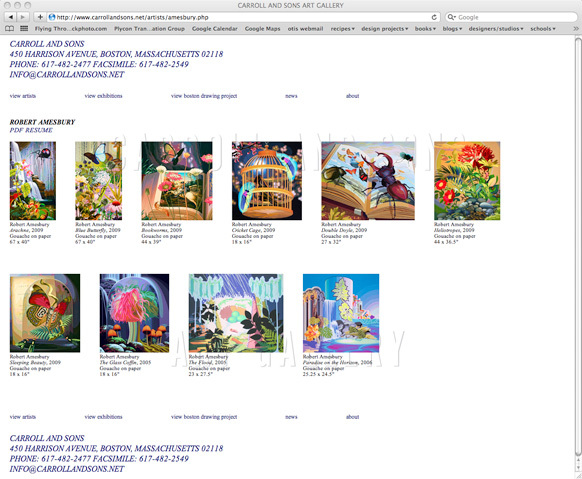 The site allows the user to navigate through thumbnail images, similar to a google image search results page. 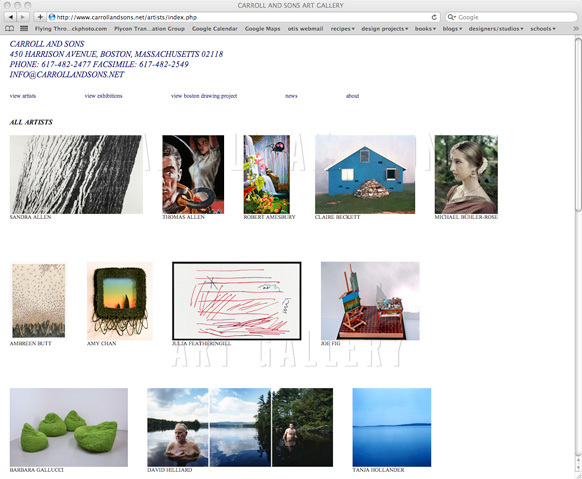 Each click into the site reveals images at a larger scale. 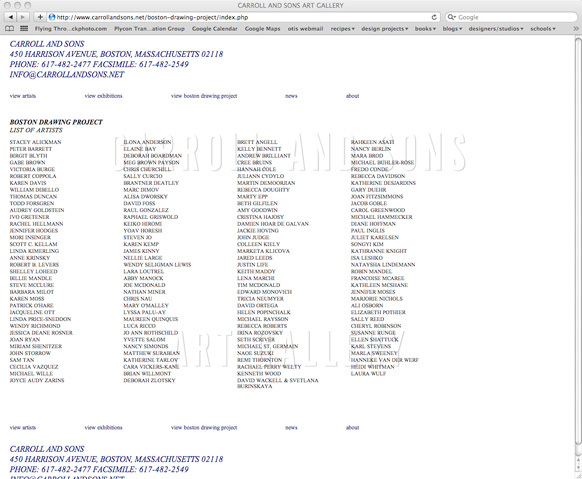 Programmed by ktp design.